Conflict Kitchen will be hosting a three day marathon reading of the Shahnameh, the classic Persian epic written by Ferdowsi over 1,000 years ago. Consisting of some 60,000 verses, the Shahnameh is the world’s longest epic poetry written by a single poet. It tells the mythical and historical past of the Persian Empire from the creation of the world until the Islamic conquest of Persia in the 7th century. Over the course of three days, from noon until 8 pm, July 20-22, the public is invited to read passages from the Shahnameh in conjunction with scheduled readings by members of Pittsburgh’s Iranian community. The event will kick off Wednesday, July 20th at noon with a special lunch hour discussion with Dr. Ahmad Sadri, Professor of Islamic World Studies and Sociology at Lake Forest College. 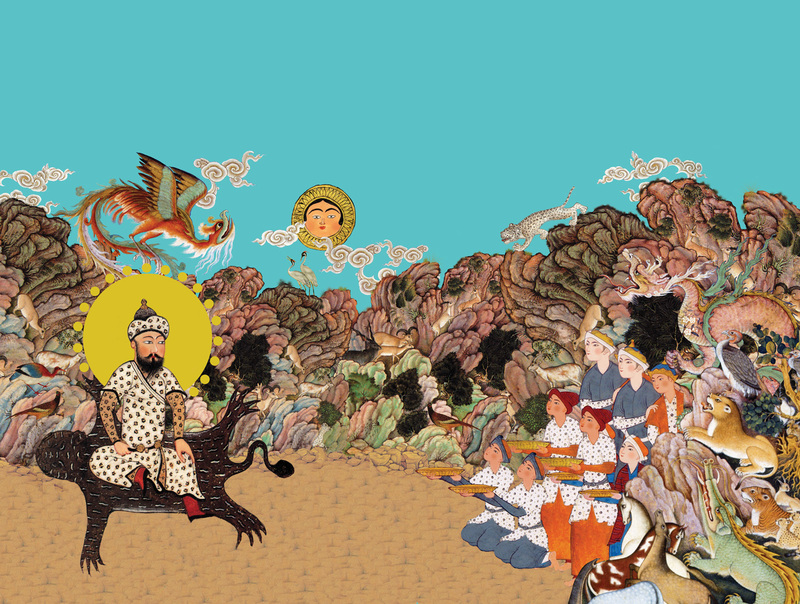 Dr. Sadri adapted and translated the illustrated Shahnameh released in 2013 with art and design by Hamid Rahmanian. Dr. Sadri will perform the introductory reading at 1 pm before opening the mic to members of the public. Scheduled readers include Illah Nourbaksh and family, Parvaneh Torkamani and Connor Hestdalen, Parviz Dousti, Azarin Zarassi, Liz Park, Colten Harper, Rosta Farzan, Jennifer Myers, and others. Poets Parvaneh Torkamani and Connor Hestdalen have prepared a special reading in Farsi from 5:30pm-8:00 pm on Wednesday, July 20th. Parviz Dousti will open readings on Friday, July 22nd at noon with a reading in Farsi followed by a translation into English. Closing ceremony is under the tent in Schenley Plaza, Friday, July 22nd at 8:45 pm. Artist Ali Momeni’s students Zachary Rispoli and Alicia Lott will animate live, projected illustrations from the Shahnameh, accompanied by a reading from a special guest narrator.